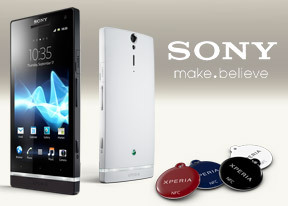 The Sony Xperia S comes with a GPS receiver, which took less than a minute to get satellite lock from a cold start. You can use the A-GPS functionality to get near instantaneous locks. Alternatively, network positioning will do if you only need a rough idea of your location. Our Xperia S came with Wisepilot pre-installed with full navigation license (a worldwide license valid for 30 days), including voice prompts. The app offers info on weather, traffic, speed cameras and speed alerts. Wisepilot uses online maps by default, so you'll need a data connection - but it works even in countries where Google Maps Drive doesn't. You can purchase offline maps if you like - a 2-year license for the whole of Europe is €5 and North America is $5. We just can't promise you that your Xperia S will also come with the same Wisepilot license, it may be a market-dependent. But the Sony Xperia S is a fully PlayStation Certified device and you can access the PS Store for quality PSX games. It wasn't preinstalled on our unit, we had to use the "Let's start the PS Store" app to get it - it just opens the browser and points it to the appropriate download page. Just remember to turn on the option to install from unknown sources (a.k.a. not the Play Store). Anyway, the PS Store offers a list of paid PSX games (17 at the time of writing) and they are all priced £3.99 (€4.76, $6.34). Once you install a game, you can access it from the PS Pocket app - the same app we had on the Xperia PLAY. It's organized into three tabs - All, Recently played and Recently added. By default, it uses a pink color theme, but that can thankfully be changed quite easily.